If you’re taking a trip to Sri Lanka, there’s every chance you’re planning to visit the fabled tea fields or palm-lined southern beaches. You’d be sorely remiss, however, to bypass the spectacular, UNESCO World Heritage-listed fort city of Galle. A two hour drive south of Colombo, Sri Lanka’s capital city, this former colonial outpost is a living, breathing museum. Built by the Portuguese in the 16th century, embellished further by Dutch occupiers in the 18th, and taken over by the British in 1796, the port was a hub for the trade of spices, gems, ivory and other exotic materials. 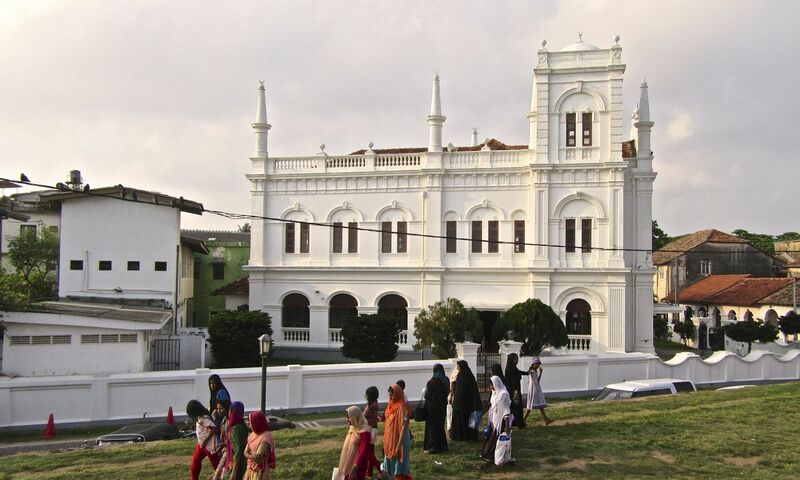 Today, Galle is a melting pot of cultures and religions, evidenced in its food, architecture and local community. Thankfully, its moss-dappled stone ramparts saved the city’s historic monuments and picturesque streets from the devastation experienced by neighbouring villages when the Boxing Day Tsunami struck in 2004. Look no further than Amangalla. History, privacy and luxury fuse in this sanctuary. Originally constructed by the Dutch as the headquarters for commanders and their staff, the building dates back to 1684 and has been operating as a hotel since 1865. The minimalist décor stays true to the property’s Dutch roots, with high ceilings, tones of slate, eggshell and navy, cane furniture and big arched windows. It will be difficult to tear yourself away from the tourmaline green pool, where waiters ply you with fresh coconuts as you recline on soporific day beds. Forget a concierge—a personal butler caters to your every need, from guiding you on walking tours of the town, to recommending and making reservations at local restaurants. 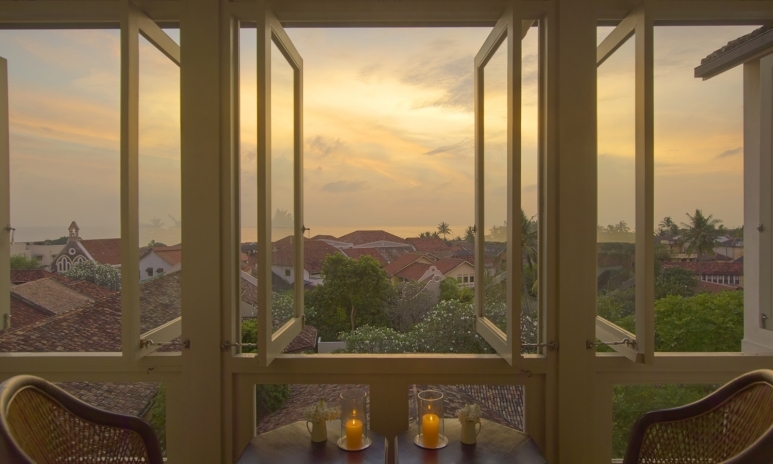 Don’t miss a sunset drink on the hotel’s top floor, which boasts unparalleled views over the church steeples and centuries-old tiled rooves to the ocean beyond. A sunset walk around the fort’s ramparts is a must—not just because the setting Sri Lankan sun is dreamy, but also because any other time of day, bar dawn, is too hot. Begin at the saffron-coloured 17th century Dutch spice warehouse on Queen’s Street. 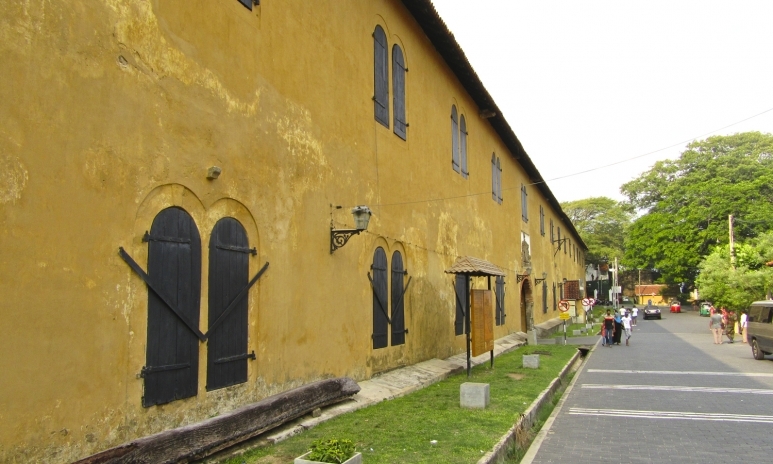 This spectacular building is now a maritime museum and worth a visit if you’re interested in learning more about Galle’s history as a trade port. From there, wind your way through Court Square, admiring the handsome white colonial Magistrates' Court and the former Dutch Hospital, which now houses boutiques and restaurants. Climb up Pedlar Street and find yourself high up on the walls. 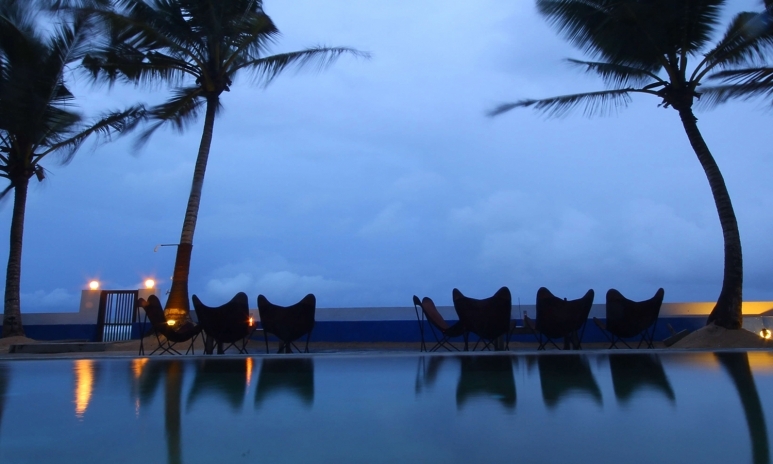 Hug the ramparts, with the Laccadive Sea to your left and the historic buildings of Galle fort to your right. 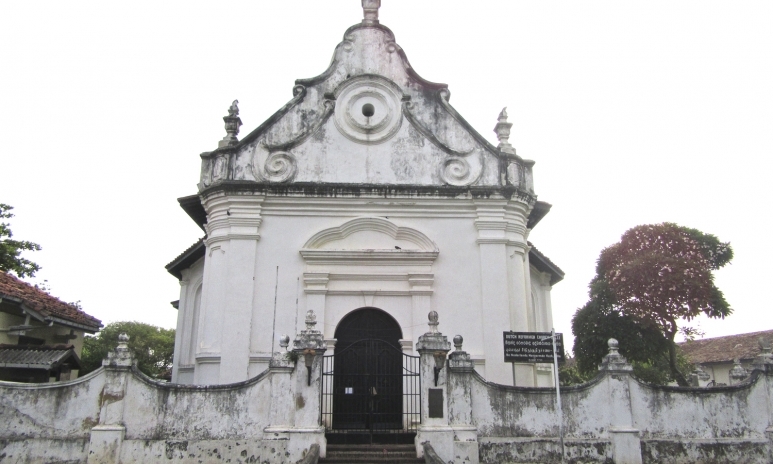 The walk is punctuated by landmarks: the Galle Lighthouse, the blindingly white Meera Mosque built in 1904, and Shri Sudarmalaya Buddhist Temple, which is built on the site of a Portuguese Roman Catholic Church. This sunset stroll also provides a fascinating insight into Galle’s diverse local community, made up of Christians, Muslims, Buddhists, Sinhalese and Tamils, all of whom flock to the ramparts for picnics, games, swimming and cliff jumping when the heat of the day subsides. Other unmissable architectural highlights are the Dutch Reformed Church and its belfry, which neighbours the Amangalla hotel. The All Saints Church, also on Church Street, is worth a visit too, as is the old Post Office. The streets are littered with quaint, perfectly preserved terrace houses and shops, and so a casual wander will yield numerous discoveries. Don’t miss the marvel of Deco on Forty Four, a 1930s building constructed by a wealthy gem merchant. We can’t vouch for the rooms or the food, but the architecture alone is worth a trip. Poonie’s Kitchen is located in the whimsical courtyard of clothing boutique Mimimango, and decked out in shades of aqua and pink. 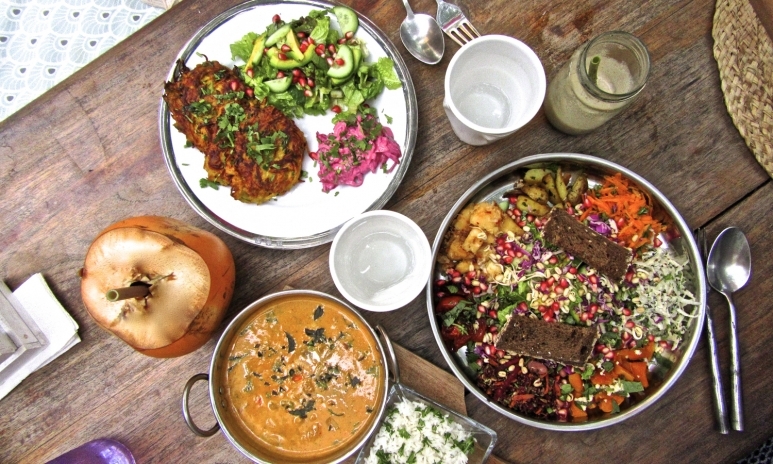 This casual café serves technicolour plates of salad thali, squash fritters with beetroot relish and an out-of-this-world prawn, pumpkin and coconut soup. Lunch only. 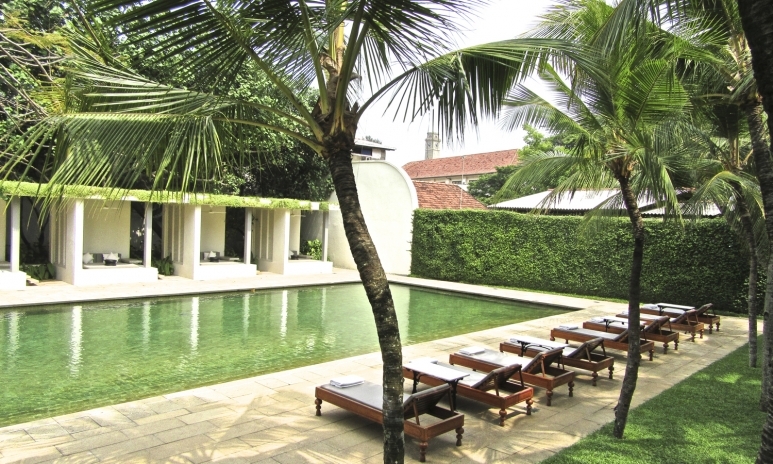 In the evening, sit around the pool of charming boutique hotel The Fort Printers for a peaceful, candle-lit meal. Avoid the Mediterranean fare, which is predictably inauthentic, and opt for one of the Sri Lankan curries—preferably lobster or prawn. Don't miss the built-for-Instagram Church Street Social. Located in the new Fort Bazaar boutique hotel, this charming café lures the blogger crowd with its white walls, sage floor tiles and minimalist Moorish décor. Come for iced coffee, coconuts and afternoon tea, or stay for something more substantial. The black pork curry is a winner, as are staples like the beef burger and the pepper cuttlefish. Be transported back to the 1800s in Amangalla Terrace, the outdoor dining room of the historic hotel, with its antique silverware, period furniture and tiled floors. 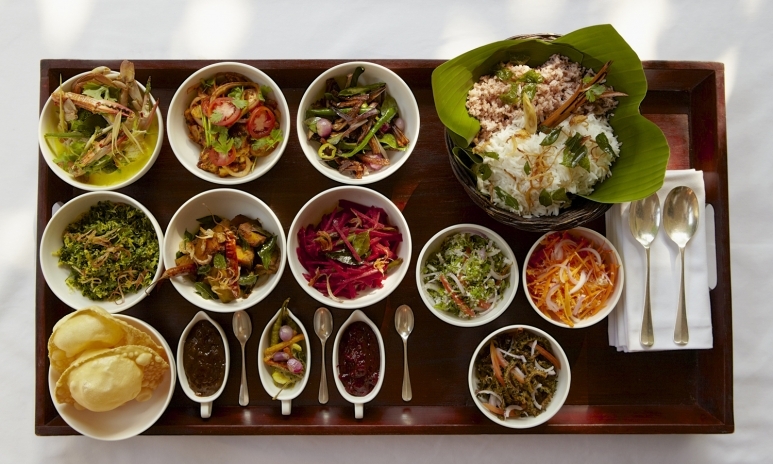 Whether you opt for Sri-Lankan fare or Western classics, there is no going wrong. Service is excellent. Be sure to savour a gin and tonic for the full experience. 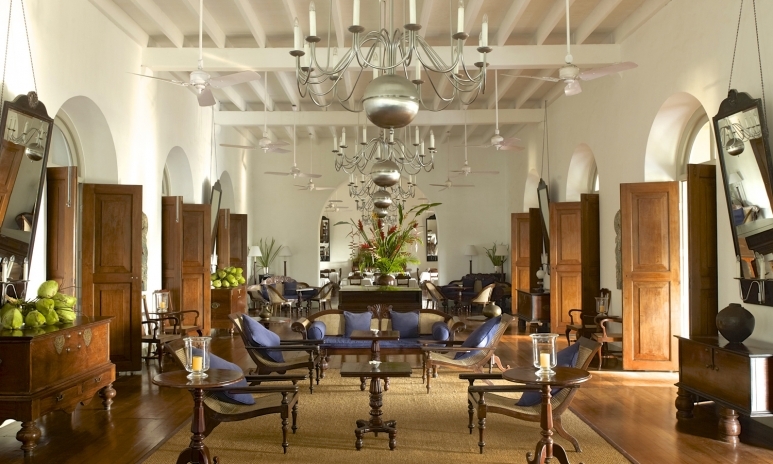 It’s also worth grabbing a pre-dinner cocktail or two on the terrace of the historic Galle Fort Hotel. They make a mean passionfruit caipirinha. Mimimango is the ticket for chic, hand-beaded silk and cotton kaftans, dresses and sleepwear, as well as funky clutches and scarves. The products are refined, beautiful and have prices to match. 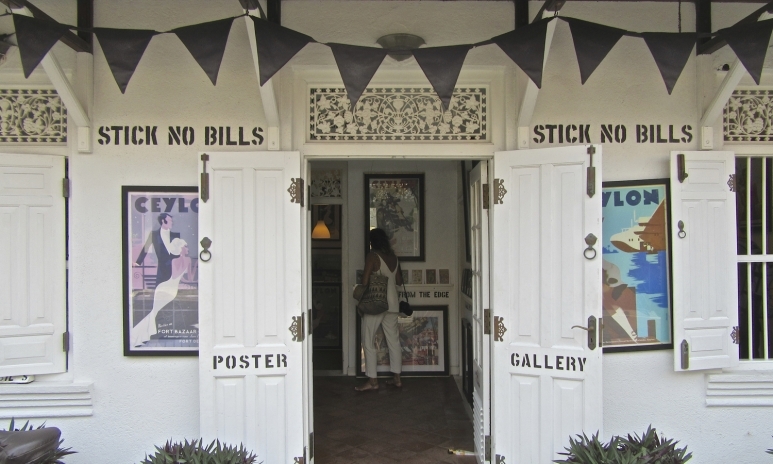 At Stick No Bills, lovers of vintage posters will swoon over prints of retro ads for Ceylon and its exotic lures. For gifts and home wares, pop inside Barefoot and KK Collection, while for Sri Lankan sapphires, garnets and silver jewellery, visit M.M. Ibrahim, Laksana or Pedlars Inn Jewellery. If you’re staying at the Amangalla, join the daily 9am yoga classes in the outdoor pavilion. These are challenging, so prepare to sweat. After a shower, some breakfast and a dip in the pool, head to The Baths spa located in the hotel for a range of restorative Ayurvedic treatments, such as reflexology, body scrubs and massages. The classic massage treatment includes a rather liberal stomach massage, which might make some guests uncomfortable particularly if given a male therapist, so be sure to ask your therapist to clarify the extent of the treatment before it gets underway to avoid any awkward moments. If the fort gets claustrophobic (we doubt it will, but just in case) venture to one of the numerous beaches and restaurants nearby. Talpe Beach Club is the perfect spot to watch the waves roll in, cocktail in hand. Alternatively, The Owl and the Pussycat, a relatively new hotel also in Talpe, serves a mean Sri-Lankan curry and an authentic Italian crab linguini. The latter is a great base for a night or two if you want to explore surrounding beaches, visit turtle hatcheries or go whale watching. Unawatuna Beach is a 15-minute car trip from Galle fort, and although some say its beauty was marred significantly by the 2004 tsunami, it’s still a worthwhile sojourn. Have a meal at Kahanda Kanda, located in the paddy fields. The hotel uses fresh fruits, vegetables and herbs grown on the estate. Sign up to our weekly newsletter and get our top tatler_stories delivered.